Last spring (May 2014), after twelve years as an independent, sole proprietor historical consultant operating primarily in South Carolina, I officially formed a new historical consulting firm, Carolina Historical Consulting, LLC. As my consulting business grew and projects became more complex over the last couple of years, it became necessary to build partnerships with other independent historians and historical technicians who could collaborate with me on providing the highest quality of service and skills to my clients. The creation of Carolina Historical Consulting, LLC, streamlines this process and improves efficiency, while maintaining the integrity, accuracy, and meticulousness for which I have been known for the entirety of my career. While many of our clients are still located in North and South Carolina, we also provide services in Virginia, Georgia, and Tennessee, as well as more distant locations by special arrangement. Over the past year, I’ve slowly been attending to various logistical challenges that accompany this change, even though my clients know that I have quietly been operating under the new corporate name. Now it is time to “go public” with Carolina Historical Consulting, LLC. You can read more about what we do at our new website, and you can get regular updates about our activities at our Facebook page. This page (ericplaag.com) will remain up but largely will be a static space from here on. While these changes mean that I sometimes partner with others to provide top-notch service to my firm’s clients, please rest assured that ALL projects completed by Carolina Historical Consulting, LLC, are directly supervised by me as the firm’s principal consultant. This will not change for the foreseeable future. In the meantime, we’d love to hear from you about new projects you might have in mind. Recently, I encountered this hilarious video about Californians trying South Carolina foods for the first time, and I was reminded of A) my intense dislike for boiled peanuts, and B) a story I have long told friends regarding my suspicions about the origins of the boiled peanut. And now, by popular demand, I pass that story along to you. It’s 1894, and a poor Sandhills farmer is on his way in to market in Columbia along the Camden Road, hauling a large load of peanut sacks stacked high in his uncovered wagon. As he starts up the hill just after Messer’s Pond, the heavily rutted sand road jolts his wagon, and his single horse rears a bit, causing the top most bag to fall off the back of his load, roll down the embankment, and settle into the water at the edge of the pond. Once he has his horse under control, the farmer continues to market none the wiser, then realizes he is a bag short when he goes to settle up with the Yankee buyer who runs the place. Convinced of the farmer’s dishonor in spite of the farmer’s apologies, the Yankee in turn loudly berates him in front of the other farmers as a cheat, then cuts his price for the peanuts by 25%. Embarrassed, the Sandhills farmer returns home that night, puzzled as to how he could have made such a mistake. He considers that someone might have stolen a bag at the market, but quickly dismisses this idea as unlikely. He considers that his wife may have distracted him while loading the cart, thus disrupting his count, but he remembers completing his recount just before heading out. Flummoxed, the farmer goes on with his activities for the week until it is time to go to market again. A week later, as he again travels the rutted Camden Road and approaches Messer’s Pond, he sees the glint of wet peanut shells sparkling at the edge of the water and stops his cart. It’s brutally hot–104 on this particular day–and the cart is again loaded to its limits. As he draws closer to the gleaming peanuts, he realizes that this is his lost bag, which has been simmering in the summer sun and pond water for seven days. He hauls the bag up onto the bench next to him, scoops as many loose, soggy peanuts as he can back into the bag, sews up the bag, and proceeds to market. “Bless your heart,” the Sandhills farmer says. “I’m not asking you to buy them. It’s my gift to you for your generosity in reconsidering my honor. It is the only amends I know to make under the circumstances–a true southern delicacy that only a refined man of discerning tastes such as yourself could truly appreciate.” That’s when the Yankee buyer asked the Sandhills farmer to bring him more the next week, for which he would gladly pay, in order to share them with his northern friends. That is how the boiled peanut was born. And so, to this day, Yankees visit and move to South Carolina in record numbers, buying up roadside bags of “boiled peanuts” as part of their Radical Chic agenda to “understand” the backwater South Carolinians and “celebrate” their culture, apparently unaware that the joke, all these years later, is still on them. On February 7, 2015, I had the honor of giving a presentation at the Rivers Bridge State Historic Site in Erhardt, SC, entitled “He Says He Was a Union Man”: Sherman’s March and the Civilians of the Rivers Bridge Vicinity. This presentation was part of the South Carolina State Parks’ ongoing commemorative activities celebrating the 150th anniversary of this pivotal event in South Carolina’s history. As the title implies, the presentation focused on civilian experiences of Sherman’s campaign as it passed through the Rivers Bridge vicinity, explaining the kinds of sources that I used in completing a three-year, grant-funded mapping project of nearly 400 sites associated with Sherman’s March in South Carolina and what those sources can tell us about both soldiers and civilians involved in the events. 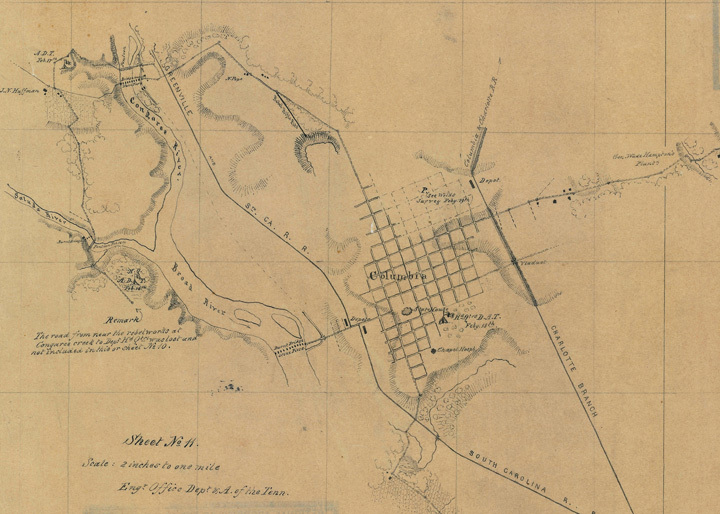 One of the surprising discoveries, for both Union soldiers and me as a researcher, was the large number of Unionist residents living near Rivers Bridge. 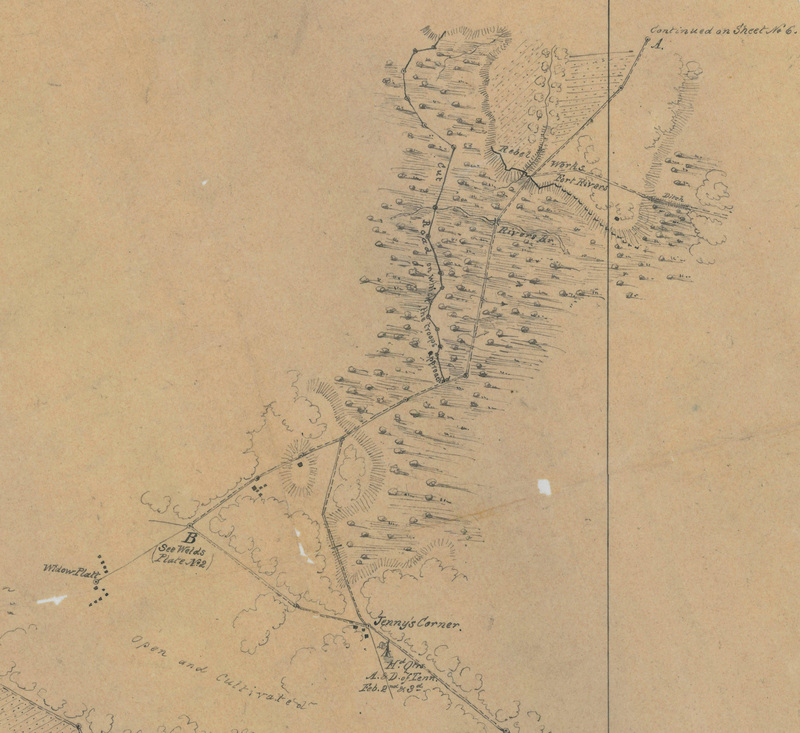 As this presentation suggests, I am presently engaged in a much larger book project to document Sherman’s March in South Carolina on a daily, micro level, highlighting both soldier and civilian experiences in a manner that allows scholars and residents to locate physical resources associated with the campaign and thus better understand their local history. I expect that this book will be complete sometime in 2016. I have had numerous requests from individuals and organizations who were not able to attend this event, asking to see a copy of my remarks. As a courtesy, I am attaching them in the PDF below. While you should feel free to download them for personal research use, they are protected by copyright, so I ask that you secure permission from me before reprinting, redistributing, or reposting them anywhere else. On January 18, 2015, I had the honor of giving a presentation at the South Carolina Confederate Relic Room in Columbia, SC, entitled “For the First Time I Am Ashamed”: Rattled Yankees and Inconsolable Civilians in the Wake of the Burning of Columbia. This presentation was part of Historic Columbia Foundation’s ongoing commemorative activities celebrating the 150th anniversary of this pivotal event in South Carolina’s history. You can read more about those events at this website. As the title implies, the presentation focused on civilian and soldier experiences of the fire, documenting an event far more horrific than recent historians have allowed. One of my major assertions was that it is time to revisit the characterization of this event by past scholars, most notably Marion B. Lucas in his 1976 book Sherman and the Burning of Columbia, which downplayed the extent of the destruction and dismissed many of the personal experiences of eyewitnesses on both sides of the conflict. Instead, as we pause to commemorate these events, we owe it to those who came before us to develop a more rigorous means for both quantifying and qualifying the extent of Columbia’s destruction. Indeed, I will be reaching out to scholars over the next several months to begin a project that will allow us to do exactly this. After just under a year of hiatus in the Washington, DC, area, I am finally returning to the South. Effective September 15, 2011, I’ll be settling permanently in the Boone, NC, area and once again transferring my full-time historical consulting, writing, and art photography businesses there as well. As I have done for the past nine years, I will continue to serve as a researcher and consultant on numerous historic preservation projects throughout the southeast region, including the Carolinas, Georgia, and Virginia. My new location in western North Carolina will also open up new consulting possibilities in Tennessee. Since last November, my wife and I have been living in Northern Virginia (NOVA) to assist my father with a residential transition. It was a tough year in many respects, in large part because the NOVA of 2011 is not the NOVA I grew up in during the 1970s, nor does it possess any of the essential characteristics that make a place feel like home to me. 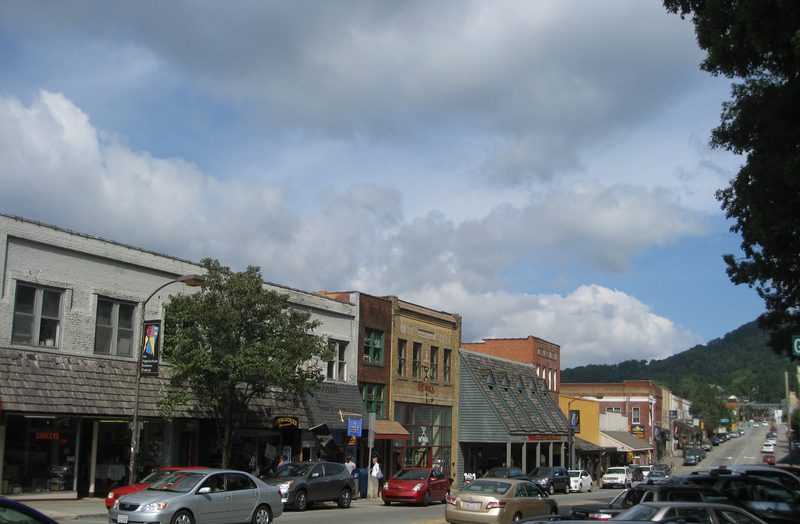 Boone, by contrast, is everything that I have been seeking in a hometown for many, many years. Boone is home to Appalachian State University, which gives the town access to top-notch research facilities and the cultural outlets that one normally associates with a university community, yet it is also still a small, southern, High Country town in many respects, a place where people say hello on the street, hold the door for others (whether they are ladies or gentlemen), and know what proper southern cooking is. It also features an ideal climate for someone like me who detests the heat of summer, breathes best in mountain air, and craves frequent cold, rainy days with the occasional burst of snow thrown in. My wife Teresa and I are delighted to call Boone home, and we look forward to spending the rest of our lives in a deeply satisfying, soul-soothing place filled with kind, curious, and interesting folks. We look forward to seeing you around town. Now that you’re here, take a look around. I bet you’ll discover something new. You may have come here looking for my photography, and while there are some samples located in the link to the right, you can find more images and a lot more information about the kind of work I do, ongoing projects, and forthcoming shows and photo books in my photo blog, where newer images surface with regularity. This snazzy little embedded orange link will magically transport you to the photo blog. Or maybe you’re curious about how an independent historian makes his way in the world these days without a cozy academic job to pay the bills. You might be intrigued by the projects that have come my way over the past few years, or maybe you’re wondering if I’m the guy who can solve your history mysteries. Either way, the links to the right will surely shed some light on my interests, past projects, and some hints about current clients and the kinds of work I am accepting at present. Or perhaps by some serendipitous coincidence, you’re one of the folks who has heard about Song of Attica, the mysterious novel I’ve been crafting in secrecy for the last couple of years. Well, it’s finally about time for that story to be told, at long last. You can learn more about it to the right as well. Then there is the somewhat remote possibility that you’ve heard about me occasionally locking myself in an editing room for days at a time with Final Cut Pro, a stash of Diet Coke and salt ‘n’ vinegar potato chips, and a bunch of random archival images, frantically crafting something I refer to–somewhat inexactly–as a documentary film. The link to the right would be the place to find out about those experiments, too. Yeah, I’m kind of a quirky guy. Most people eventually ask me, “So, what exactly do you DO?” The short answer is that I’m doing what I love. I hope that my work, one way or another, one genre or another, brings you at least a fraction of the happiness that it brings to me. Unless otherwise noted, all images and text are copyrighted material and may not be reproduced or otherwise distributed in any form or manner without prior written permission from Eric Plaag.